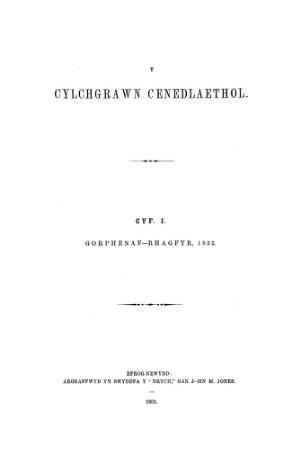 A monthly Welsh language, Welsh-American, literary periodical. The periodical's main contents were articles on literature alongside poetry and music. Editing duties were shared between the periodical's literary editor, Thomas Ingram Jones, its poetry editor, the poet William Williams (Gwilym ab Ioan, 1800-1868) and its music editor, John Morgan Thomas.